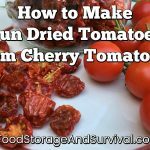 We’ve been busy out in the garden getting ready for spring and I thought I’d share a bit of what we’ve been doing out there. 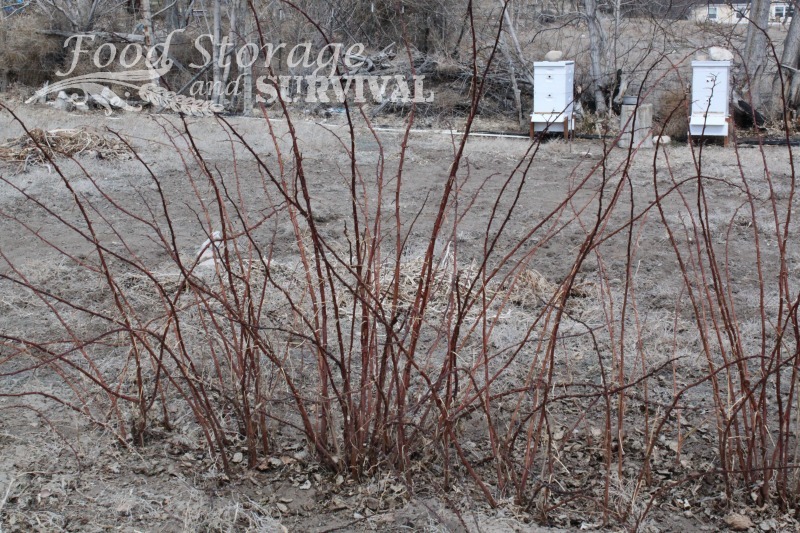 Early spring is the ideal time to prune your fruit trees and berry bushes. 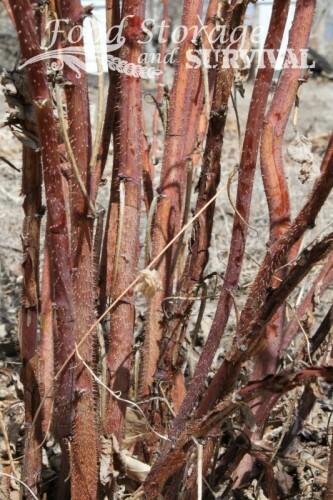 You want to prune while the plant is dormant, before it starts to leaf out. That way the plant will not be wasting energy trying to make parts grow that you’re just going to cut off. All the energy can go into the parts of the plant you want to keep. Today we’re pruning raspberries. 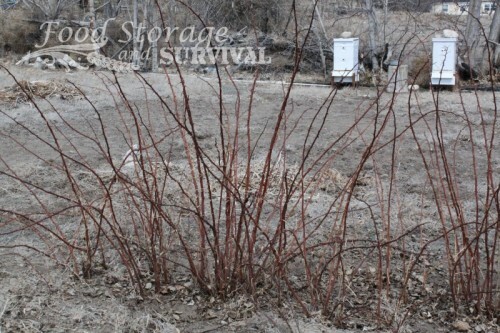 These are summer bearing raspberries that bear fruit on two year old canes, called floricanes. A second type of raspberries produce fruit in the fall on the first year canes called primocanes, and those are pruned differently. We are pruning the summer bearing raspberries. Because the plant will produce fruit on the two year old canes, we want to keep the canes that grew during the last summer. Those will be the producers this coming summer. But we don’t need any canes older than last year’s growth. They don’t produce berries and will just be crowding the good canes. Here they are needing pruned. First, get your supplies. 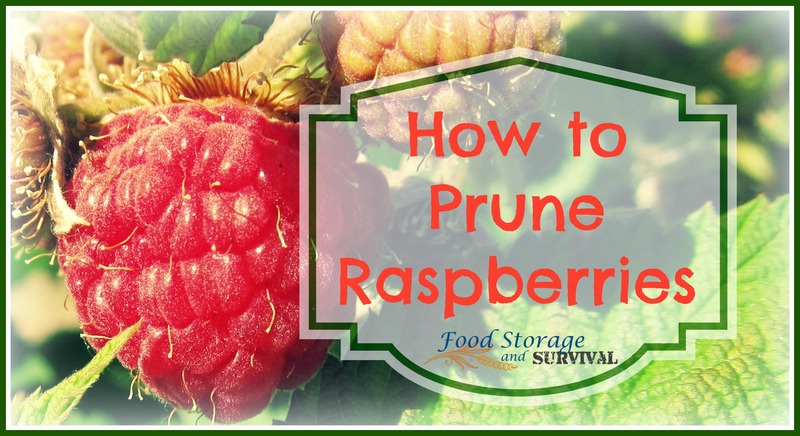 Most raspberries have thorns, so you want some protection. And you’ll need something to trim the canes with. Leather gloves are mandatory. Long sleeves, a jacket, head covering, and eye protection are optional but nice. You’ll be getting in close under the canes to do the trimming. I use a bypass lopper to trim my berries. 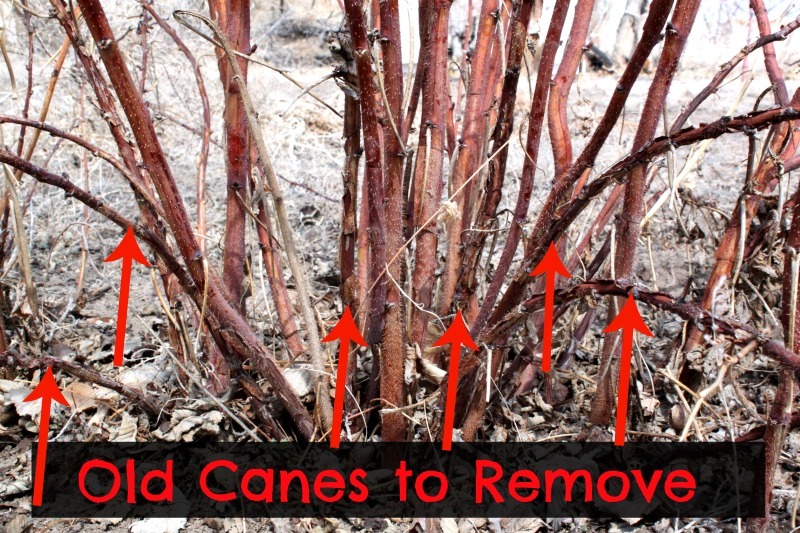 Now you’re ready to prune. But all the canes are tall and straight and brown right now, so how can you tell which ones you need to remove? Here’s what to look for. 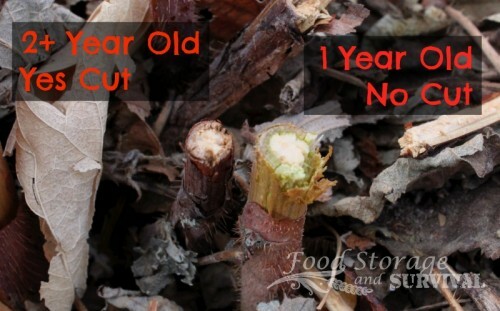 The 2+ year old canes will be slightly darker, more brown, with the outer barky paper peeling off the cane. One year old canes will be green near the bottom (sometimes only visible if the skin of the cane is scratched) and have a more uniform covering although some of it may be beginning to peel. I’ve marked most of the old canes for you in the next picture (click to make it bigger). Got it? Now you try to find some. 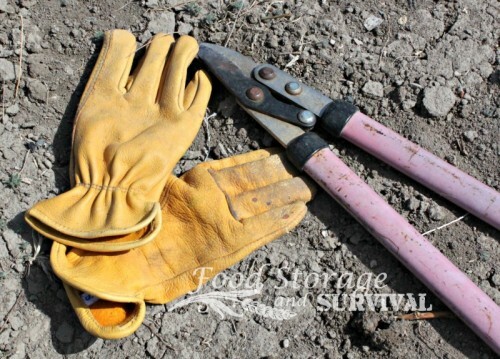 Once you’ve identified the older canes, use the bypass loppers to cut them off near ground level. When they are cut, the wood will be brown, not green. I cut a one year cane to show the difference. Easy. The hardest part is keeping your ponytail from being pulled out by the low hanging branches you’re ducking under to do the pruning. Pruned plants are happy plants. Happy plants make more berries. Enjoy your pruning!